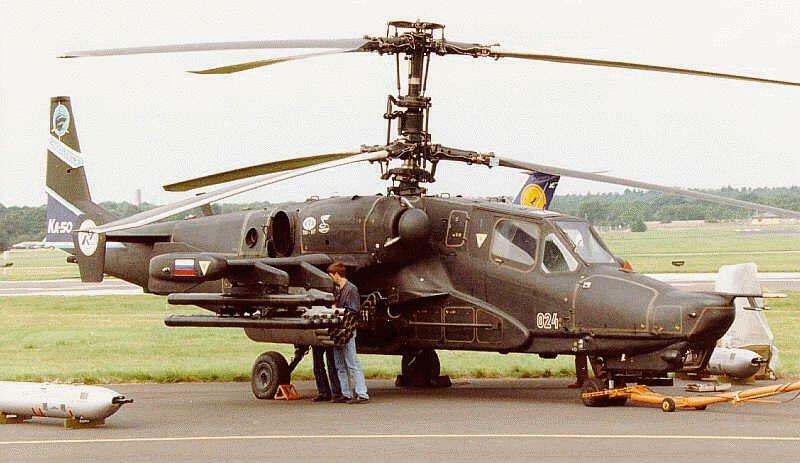 The KA-50 is a state-of-the-art and powerful battle helicopter which is in limited service with the Russian Air Force. This aircraft is not fielded. Only a handful of prototypes exist, and it has not yet been approved for full-scale production. There are two versions of the Hokum. 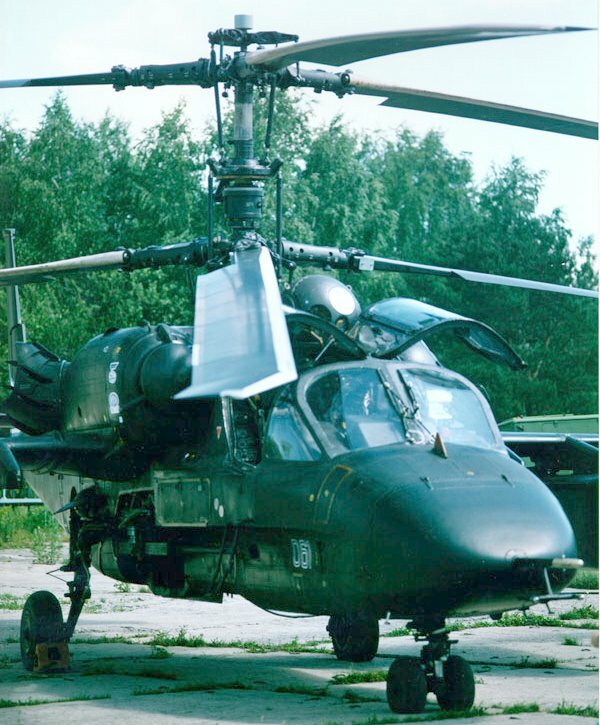 The Ka-50 Hokum-A is a single seat close support helicopter and the Ka-52 Hokum-B two seat trainer and combat version. 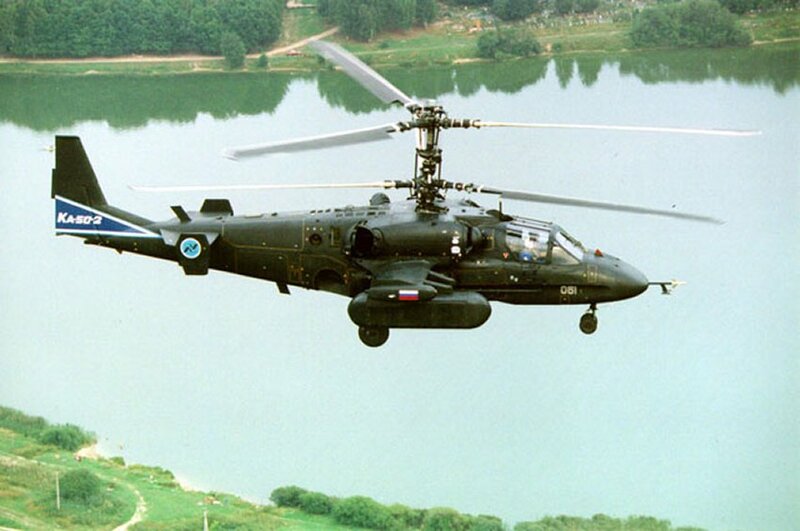 The Mi-28N and Kamov Ka-50 are competing to fulfil the Russian Army Aviation requirement for a night-capable anti-tank helicopter, a replacement to the Mi-24 created 25 years ago. The coaxial, contrarotating, three-blade main rotors are widely separated with swept-back tips, and there is no tail rotor. The equally tapered, short, stubby, weapon-carrying wings with end plates are mounted on the streamlined fuselage, which tapers to the front and rear. The fuselage, which is flat-bottomed except for the underbelly gun pod and sensor, features a flat plated glassed-in canopy. The tail is thick with a tapering tail boom and back-tapered tail fin with a square tip. The tail flats are high-mounted on the tail boom with end plates, and located forward of the fin. Twin turboshaft engines are mounted high on the fuselage above the stubby wings, with semicircular air intakes and exhausts that are turned outward. 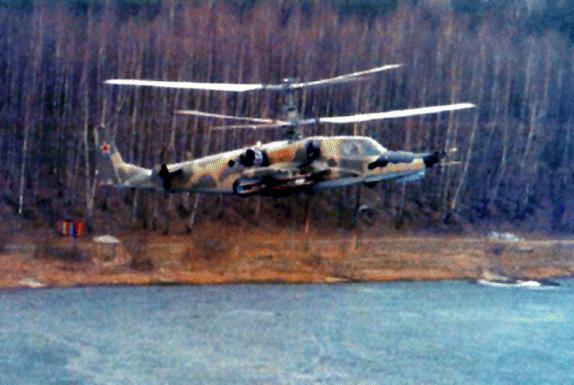 The helicopter has a number of unique characteristics including single seat to increase combat and flight characteristics and reduce operational costs. 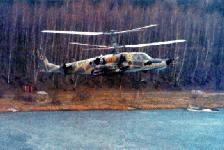 It was designed for remote operations, and not to need ground maintenance facilities for 2 weeks. The airframe is 35% composite materials with a structural central 1m 2 keel beam of kevlar/ nomex that protects critical systems and ammunition. The fully armored pilot's cabin can withstand 23-mm gunfire, and the cockpit glass 12.7-mm MG gunfire. The Zvezda K-37-800 pilot ejection system functions at any altitude, and enables a successful ejection at low altitude and maximum speed. External stores are mounted on underwing external hardpoints. Each wing has two hardpoints for a total of four stations. 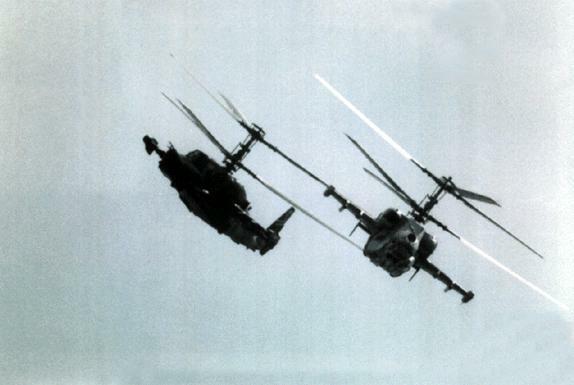 A typical mix for targeting armor formations is 12x AT-16 ATGMs, 500x 30-mm cannon rounds, and 2x 20-round pods of 80-mm folding fin unguided rockets. The 30-mm cannon is the same as on the BMP-2. 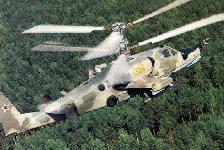 It also carries guided air-to-air missiles IGLA-V (Needle C), already extensively tested and sold to buyers abroad. The Shark's avionics is largely in line with what is the norm for one-seater fighters and ground attack jets. It's most remarkable feature is a remote targeting system with a capability to provide for a sudden deadly attack from a distance that rules out direct visual contact with the target. The firing computer will turn the aircraft to keep the gun on target. It is equipped with downlink to provide information from the battlefield. The targeting and control system and weaponry enable accurate target engagement at ranges of up to 10km. 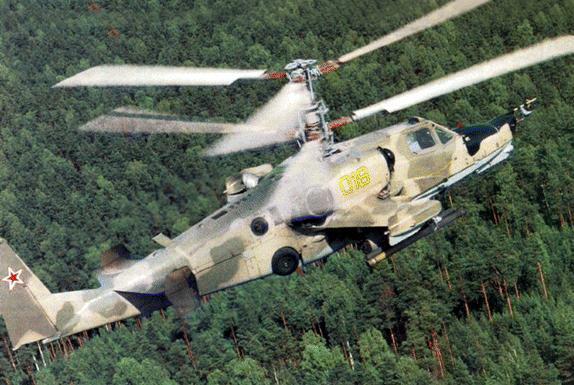 The KA-50 features unique maneuvrability and operating characteristics due to the contra-rotating co-axial rotors. 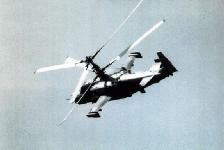 The coaxial counter-rotating rotor system negates the need for a tail rotor and its drive system. Because of this, this aircraft is unaffected by wind strength and direction, has an unlimited hovering turn rate, and gives a smaller profile and acoustic signature, while allowing a 10-15% greater power margin. The HOKUM is fully aerobatic. It can perform loops, roll, and �the funnel�, where the aircraft will maintain a concentrated point of fire while flying circles of varying altitude, elevation, and airspeed around the target. 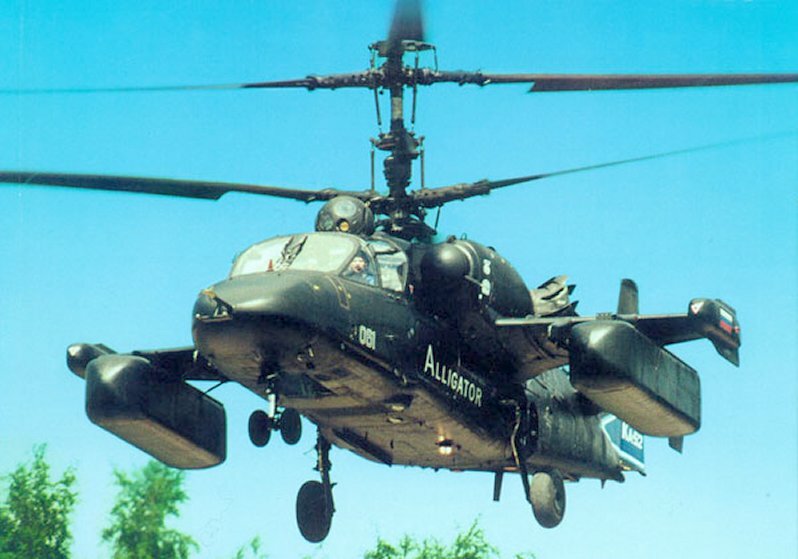 Ka-50A/HOKUM A: Standard direct air support variant. 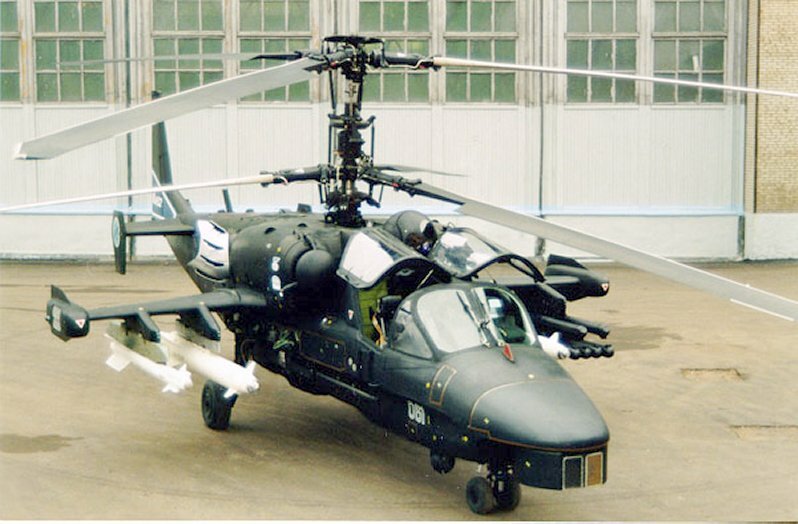 Ka-50N/HOKUM N: Night attack variant fitted with a nose-mounted FLIR. The cockpit is fitted with an additional TV display, and is NVG compatible. Ka-52/HOKUM B: The �Alligator� is a side-by-side, two-seat cockpit variant of the Ka-50. The gross weight of the aircraft is greater, so the performance is marginally degraded. But airframe characteristics, dimensions, and armaments are relatively similar. It includes a mast-mounted millimeter wave radar covering the front quadrant only. It is used as an attack aircraft, and as a trainer for the Ka-50. 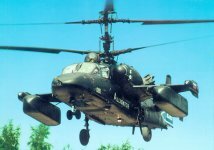 Beginning in 1997 Kamov company, in partnership with IAI, began competing in the tender for a $4 billion contract for the supply of 145 combat helicopters to the Turkish Army. In compliance with the tender requirements, KAMOV/IAI group submitted the required documentation on the Ka-50-2 Erdogan tandem twin-sitter in November 1999. 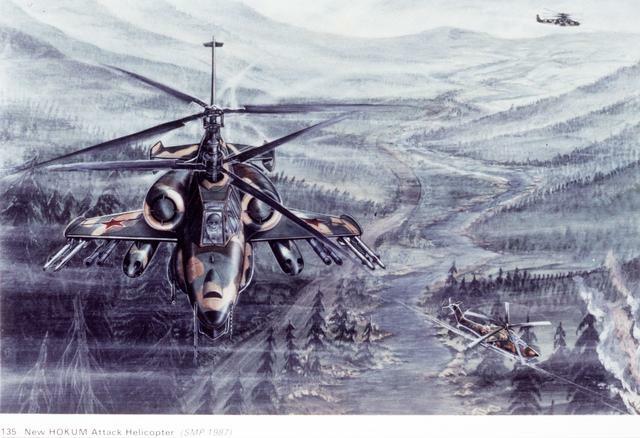 On 06 March 2000, Bulent Ecevit, the Prime Minister of Turkey, announced that Boeing and Eurocopter, French/German company, would be excluded from the list of the Bidders for the combat helicopters supply contract. Among the remaining competitors for the contract award are KAMOV/IAI (Israel Aircraft Industries Ltd.) group with its Ka-50-2 Erdogan, Agusta company from Italy with its A129 Mongoose and Belltextron company from the USA with its AH-1Z King Cobra. Standard Payload External weapons load: 2,500 kg on 4 under-wing stores points. This aircraft�s avionics package ensuring a full day/night, all weather capability. If it is to be employed at night in an attack role, it must be fitted with a night targeting pod. This pod includes a FLIR, a millimeter wave radar, and an electro-optical sight takes up one of the underwing pylons. 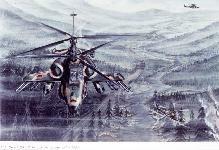 The Ka-50N, and Ka-52 are capable of performing attack missions in day/night, and all-weather conditions. The French companies Thomson-CSF, and Sextant Avionique offer nav/attack systems, which can be fitted to export variants. Main rotors and engines electrically deiced. Radar warning receivers, IFF, chaff and flares. Armored cockpit and self-sealing fuel tanks. User Countries Preproduction in Russia. An initial fielding plan is for 2 per year for 14 years.